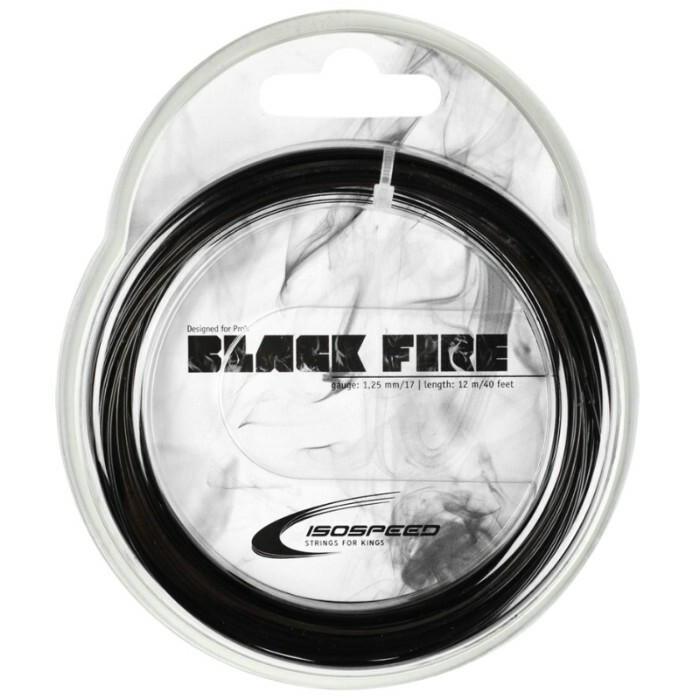 ISOSPEED Black Fire 17 String - Tennis Town | 網球購物城 - Tennis Racquets, Equipment, Strings, Shoes & Bag. This monofilament polyester string was developed specifically for the demands of professional tour play. Complete control with high acceleration. Just released following successful use on tour!